Leeds have been fined £200,000 and given a severe reprimand by the EFL after an investigation into spying. 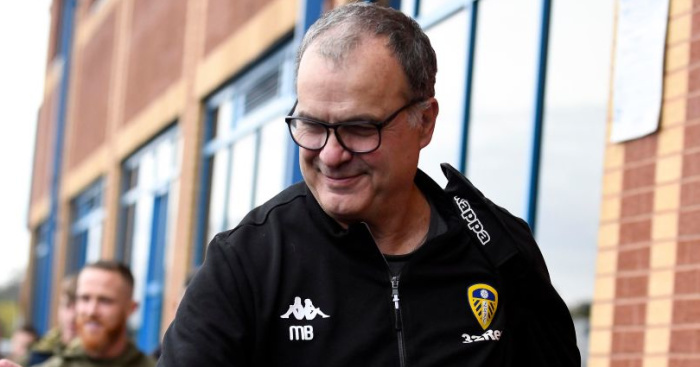 The Sky Bet Championship promotion chasers had been under investigation after boss Marcelo Bielsa admitting to sending someone to spy on Derby at their training ground ahead of their match against Leeds last month. A new rule is also set to be confirmed which prohibits teams from viewing opposition training in the 72 hours immediately prior to a fixture, unless invited to do so. EFL chief executive Shaun Harvey said: “The sanctions imposed highlight how actions such as this cannot be condoned and act as a clear deterrent should any club seek to undertake poor conduct in the future. “I would like to thank Leeds United for their assistance in helping to bring this matter to a conclusion as quickly as was practically possible. Eleven Championship clubs had complained to the EFL about Leeds spying on opposition teams, the governing body confirmed last month – but United, currently third in the Championship, will be relieved to have avoided a points deduction. Bielsa had come clean on spying on each and every one of Leeds’ opponents this season in the fury that followed – but defended his actions by revealing how – in a coaching masterclass – the watching of their opponents only accounted for 5% of their preparation work for each game. Bielsa then turned to his now infamous PowerPoint presentation to explain how he’s watched all 51 matches Derby played last season. “Why did we do that? Because we think this is professional behaviour. It’s to try and avoid being ignorant about the competition we’re playing in.